Pinamungajan is about a two-hour ride from the metropolis. It is only 64 kilometers away from Cebu City via the Naga-Uling road, and 72 kilometers away through the Carcar-Barili route. It can also be reached through the picturesque transcentral highway that connects Cebu City and Balamban. 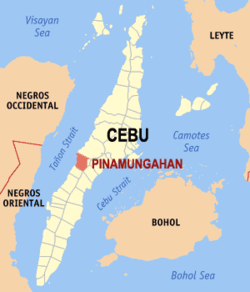 One can hop on a bus to Pinamungajan at the Cebu South Bus Terminal. The town is being served by the Ceres Bus Company and Jegans Liner.